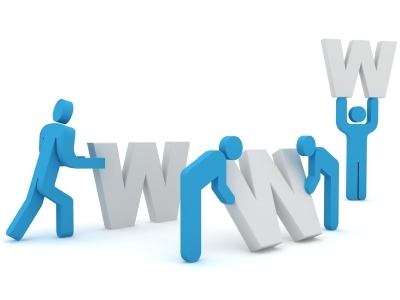 Perhaps the biggest reason many website owners experience costly downtime issues when switching hosting providers is that they haven’t taken the precaution necessary to ensure that all of their website information has been successfully transferred over to the new server before they change and redirect their domain name server (DNS). Webhostinghub.com resolves that problem by providing you with access to a temporary URL. This allows you to upload your files, create your email accounts and ensure that everything is working correctly before you transfer your domain and cancel your plan with your existing provider. When switching your website to a new hosting account, it isn’t necessary to move your domain name registration as well, as your domain name’s name servers can be adjusted to point at any hosting account. However, if you do decide to move your domain name (because you prefer keeping all of your accounts with one company or because maybe you got a great deal on renewal registrations by changing hosting providers), you’ll need to release the URL from your previous registrar’s account. Different registrars have different processes for conducting domain name transfers, but you’ll likely need to supply a code from your old registrar to your new registrar indicating that you want to move your domain name. While it’s not rocket scientist, it the process can be confusing and time consuming. Another option is taking advantage of Webhostinghub.com’s Domain Concierge Service. For just $25 a domain, Webhostinghub.com’s expert support staff will do the dirty work for you. They will initiate the transfer process, get the official transfer codes from your former vendor, move the domains, and then notify you when the process has been completed. It doesn’t get much easier than that! Webhostinghub.com has been in business for more than a decade and is consistently ranked #1 as being one of the best hosting providers in the business. Whether you’re starting a website from scratch or looking to move a site to another web hosting company, we recommend checking out Webhostinghub.com for a wide range of helpful tools and features that can help you do either — all for a low, competitive price.